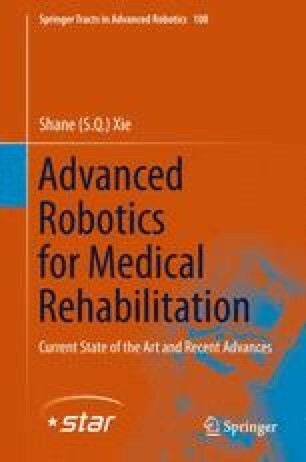 This chapter begins with an overview of the design requirements of an ankle rehabilitation robot. A suitable kinematic structure of the robot is then proposed. Workspace, singularity and force analyses of mechanisms having this structure are then presented. This is followed by a description of the robot hardware and interface. Operation of the developed rehabilitation robot relies on implementation of a suitable interaction controller, and a force-based impedance control approach had been taken in this research, whereby the desired robot impedance is realised through actuator-level force control. This chapter details the development of the multi-input multi-output (MIMO) actuator force controller devised in this work.